WOMEN: Time to IGNITE Your Life! It’s me again, here to give you a very special heads up for the 3rd Damsels in Success conference: IGNITE! 2013. As I think about IGNITE! next month, I’m also loving this beautiful mild autumn, and working for myself means that I can take full advantage of it. Today that meant making the most of the sunshine and going out for a long walk with a cherished old friend – well and truly blowing the cobwebs away. What I wonder would YOU choose to do with a gorgeous day like today??? Lucie Bradbury – CEO and Founder, and the Directors of Damsels in Success will also be speaking on How to Live the New Law for Women – a mission that will give you the life, the love and the bank balance you crave. The Venue is the Birmingham Metropole Hotel at the NEC and the dates are Saturday/Sunday 23 and 24 November. As for my next LOCAL event, I know that many people wanted to, but were unable to come to the London F-Factor Master Class, based on the Damsels in Success book of the same name, so I am delighted to tell you that my own local event is being held in Ashby de la Zouch – Leicestershire on 23 October, with ‘Activate Your F-Factor’ being the theme for this months Damsels in Success – Burton event. Join us at Damsels in Success Burton on Trent on the evening of the 23rd – just click on this link to find out more and book your seat. It is FREE for all first timers and I’ll throw in some cake along with the laughter, learning and inspiration! I often wish life was more about thunderbolts – those sudden sensory moments of illumination and clarity that zap through your consciousness – so viscerally, that you are caught completely off-guard and jangled instantly with the delicious realisation of new paths, creations and insights. Yet life has its’ own pace, sometimes a snail crawl (an anathema to a creature like me with so little patience) and sometimes a sprint, and notched at every speed set in between, too. Life is a balance and needs must be measured and slowed at times, and then quickened through at others. As for me, I love speed, pzazz and illumination, and you my dearest friend, certainly provide all that – with added razzle dazzle, at no extra charge, but with full on and free electrical charge! And what I love about Thunder Bolts too is that they change and chase away the status quo… A thunder storm is a time of transition and clearance and brightening… What ever form it may take… And I know that some people are fearful of them, but for me they are both thrilling and exhilarating. There is often a slow build up to a storm – that closeness of compressed air, the lowering clouds, rain falling, dripping or lashing. You know with all your senses – logical and intestinal, that something big is coming. And so it is with me too – there was I in the ‘Big Smoke’… near the end of 3 intense days which have all been about my journey as a woman and a writer. They began with the Damsels in Success book launch, which – fabulously, amazingly, gob smackingly means that I have now been a published authoress twice in 7 months! And for 2 days more I was furthering my writing craft and exploring the opportunities of being an author with a bigger publishing house… Exciting, lightening times indeed. I received the soft soothing, ‘don’t doubt yourself’ responses you would expect, from a kindred spirit in the room with me. And still it sat there, that doubt, like a spectre in my soul. POW! ZAP! BLAST! A clean, clear thunderbolt straight to my heart! It hit my head and emotions simultaneously – my heart beating out of my chest in a tattoo tune, my senses on fire. God and Robert had spoken!!! Then I finally reached the man himself and told him that the affirmation was for me too and thanked him and pressed my book into his hands. He politely turned it over and saw the connection and acknowledged it, his thank you gift. 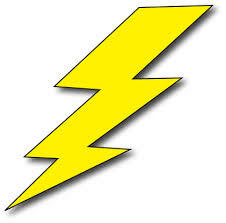 And I had my thunderbolt jolt so I know I’m on the right and perfect path, and on that day created my storm story. WOW to the KAPOW I say! Yours in thunder struck awe. Proud author of ‘Peachey Letters – Love Letters to Life’ and co-author of ‘The F-Factor’, which you can find on my website or on Amazon, in both paperback and Kindle. Autumn is Time to Activate Your F-Factor! Summer turning into autumn has just been the most incredible time of transition and celebration for me. One of the highlights was that I had the joy of sharing the message of ‘The F-Factor’ – the book I co-created with my Damsels in Success sister directors, at our Master Class and Book Launch in London last month. I know that many people wanted to, but were unable to come to the London F-Factor Master Class, so I am delighted to tell you that local F-Factor events are currently being held across the UK; and my own is being held in Leicestershire on 23 October, with ‘Activate Your F-Factor’ being the theme for this months Damsels in Success – Burton event. * How could I really connect more and have a better relationship with myself, my purpose and those around me? * How is it possible that I can have success without the sacrifice? If you have thought any of these things, then please come along and join us at Damsels in Success Burton on Trent on the evening of Wednesday 23 October – just click on this link to find out more and book your spot. I would love to help you to activate your F-Factor and to truly start living the life you deserve, with ease, clarity and grace. I wish you an awesome autumn and look forward to seeing you at one of my gorgeous events.